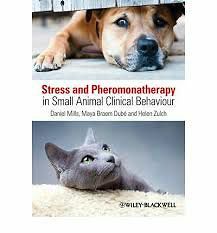 Stress and Pheromonatherapy in Small Animal Clinical Behaviour is about how stress impacts on animal behaviour and welfare and what we can do about it, especially by using chemical signals more effectively. This readily accessible text starts from first principles and is useful to both academics and practitioners alike. It offers a framework for understanding how pheromonatherapy can be used to encourage desirable behaviour in dogs and cats and also a fresh approach to understanding the nature of clinical animal behaviour problems. The authors have pioneered the use of pheromone therapy within the field of clinical animal behaviour. As the culmination of many years of research and experience, they offer sound evidence-based advice on how and when pheromones can be used most effectively.